Launched in 1994 at Devachan hair salon, right here in NYC, Devacurl is a haircare company that caters to curly and textured hair. Co-founders Lorraine Massey and Denis Da Silva knew that curly hair textures needed to be treated differently. They knew that it was important to inform and teach curly haired women about how to take care of their hair and what products to use in order to maintain their texture. They knew that normal shampoos and conditioners would strip the hair of the natural oils it needs to remain healthy and happy. After successfully launching Devachan Salon they introduced the first ever no-lather shampoo to the market the original No-Poo Conditioning Cleanser. The now cult classic product is still one of the company’s best-selling products and has won many awards by several influential magazines. The silicone, paraben, sulfate and cruelty-free brand is %100 vegan and does not test their products on animals. 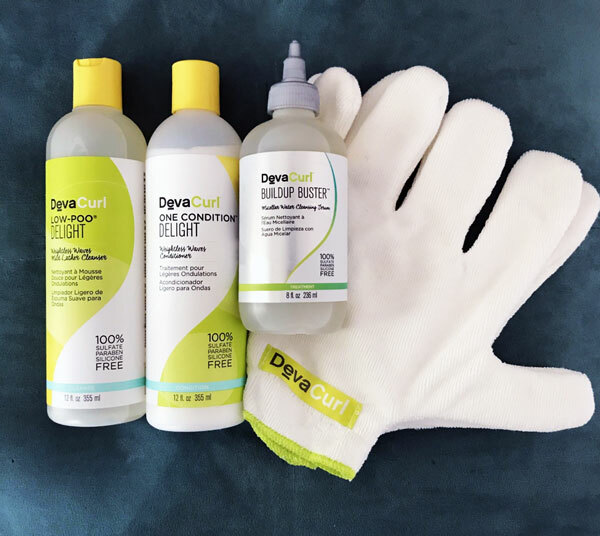 With their wide range of products, accessories, and tools, three Devachan Salons open in NYC, and two DevaCurl Academies, this company inspires and encourages curly haired girls to love their hair, and provides them with the tips and tools they need to give them the hair they’ve always wanted. 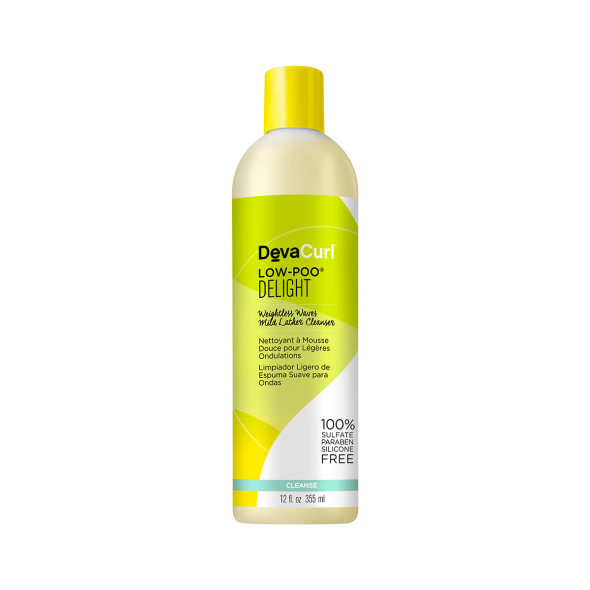 The Low-Poo® Delight – Weightless Waves Mild Lather Cleanser is a mild conditioning cleanser that claims to moisturize, stimulate, and cleanse your hair and scalp while leaving behind the natural oils in your curls to keep them healthy, shiny, and bouncy. This product’s lightweight and moisturizing formula is gentle, but still able to combat build-up without having to compromise the integrity of your hair. It will leave your hair feeling squeaky clean and moisturized at the same time. We love how the distinct, yet subtle rose and peppermint notes in this product make your scalp tingle to ensure you that it’s working. It can also be used on all curl types. The One Condition™ Delight – Weightless Waves Conditioner is a thick and creamy formula that claims to hydrate your scalp and hair with the essential moisture it needs to make your curls pop. This product uses a unique blend of olive oil, nourishing botanicals, and other ingredients to help eliminate frizz, add moisture, and give your curls some slip to cut your hair detangling routine in half. The product says that it is catered to wavy curl patterns, but because of how thick it is we at MyTopFace recommend it for people who have slightly tighter curl patterns, as this product may weigh down the hair of those with looser curl patterns. The combination of herbaceous and lemongrass scents leave your hair smelling and feeling light and fresh. MTF Hack: After cleansing and conditioning our hair, we at MyTopFace like to apply a dime-quarter size amount of the One Condition Delight to our hair as a leave-in conditioner substitute. We recommend applying the product from root to tip then going back through your hair with a wide tooth comb to make sure the product is evenly distributed. The Buildup Buster Micellar Water Cleansing Serum is an innovative way to reduce buildup and keep your hair cleaner longer. 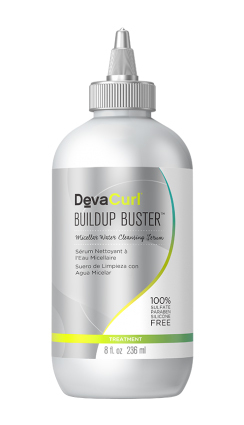 Like the No-Poo Conditioning Cleanser this product claims to make your hair squeaky clean without stripping your curls of their natural oils, while also reducing buildup caused from the products you use, the environment you live in, and the hardness of the water used to wash your hair. We at MyTopFace loving using micellar water to take off our makeup, and were very intrigued, when we came across this product, to see how well micellar water would work at cleansing our hair. The lightweight serum can be used on all curl types and is the perfect hair cleanser for those of us out there who tend to get lazy when it comes to washing our hair. This product is also jam packed with Abyssinian-seed oil and jojoba oil to give your curls the moisture it needs and the shine it deserves. We at MyTopFace love the pointed application tip because of how easy it makes it for us to evenly distribute the product from the root to the tip of our hair. 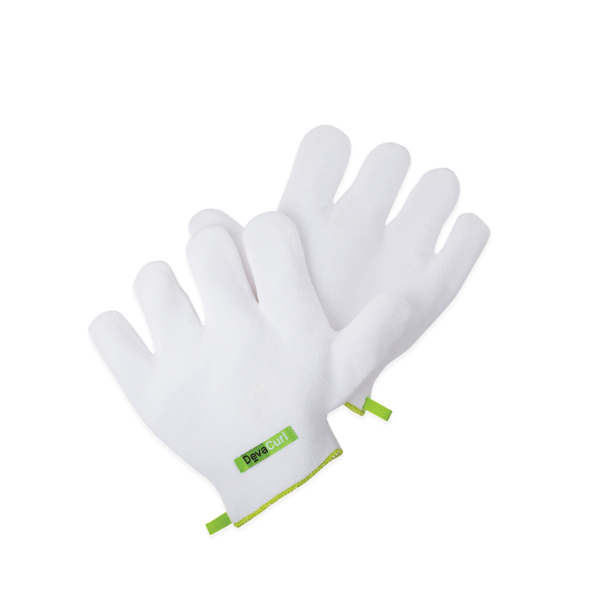 If you are the type of person that suffer from frizzy hair then you’ll absolutely love the Devagloves Anti-frizz Microfiber Glove. A lot of people don’t know that the coarse fabric used for most towels, terrycloth, should not be used to dry your hair because it’s coarse texture can cause your hair to frizz. This product claims that by using microfiber to dry your hair, instead of using a terrycloth towel, your curls will feel softer, look more uniform, and will be less frizzy. The one-size-fits-all gloves come in a pair, one for each hand, to ensure maximum water absorption before you apply other products to your hair. We at MyTopFace think that it’s important for you to know how to take care of these cloves. All you have to do is throw them in the washing machine under cold water. Make sure you wash them separately to prevent the fibers from other materials getting caught in the microfiber strands of the glove. What’s not to love about these products? We were impressed with how well these products performed. We predict that continuously using these products will definitely improve the overall state of our hair in the long run. Each product we tried left our hair feeling moisturized and soft. All the products lived up to their claims and did what they were supposed to do. They left all of our hair textures, from wavy to super curly, defined, full, and bouncy. The products gave our curls a lot of body without compromising its definition or causing wanted frizz. We think that the DevaCurl company is great at coming up with beautiful fragrances to complement their products so that you can have great looking, healthy hair that smells good too. 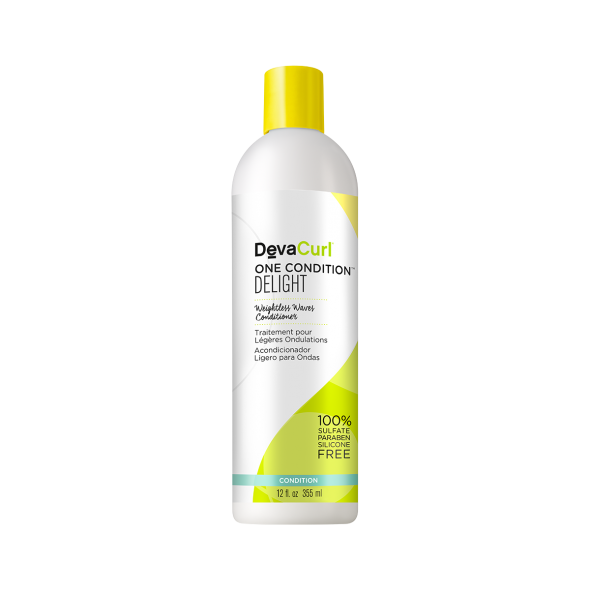 The consistency of the conditioner, while it could be too much for thin hair, along with the Devagloves made the time-consuming task of detangling our hair go by with ease. Our wide toothed combs slipped through our hair without a fuss, somehow managing to magically surpass any knots and tangles. These products performed exceptionally happier with the results. 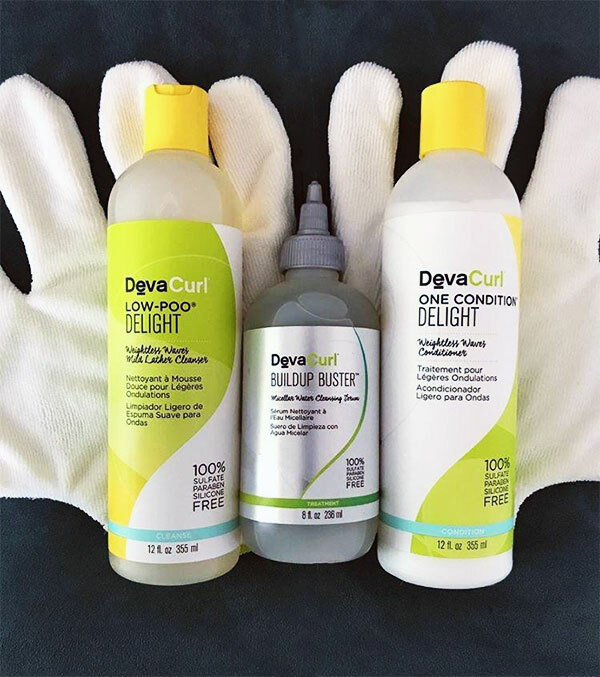 I guess you can say we at MyTopFace have finally hopped on the Devacurl bandwagon and we’re not ashamed to admit it.